I first created this social network back in 2007 with the hopes of connecting with others in the transgender community as I started my own personal journey. Originally, it was called TransAmerica. Quickly, it populated worldwide and the name changed appropriately to TransQueer Nation, now primarily called TQ Nation. Currently, we are approaching 13,000 members from across the globe. From 2007-2012, I was very active in the community as a trans activist. I led trans marches at Pride events, spoke at conferences, did multiple interviews, had cameos in a couple of documentaries, wrote a book and, most importantly, I helped many people with their journey. That, in itself, will always be a very treasured time of my life. I feel a purpose in my life is to help others. My life was very public and at that time and it was completely acceptable for me. In 2013, I started to take myself down another path of transitioning to being stealth. Virtually, I slowly removed my face from the community and removed videos and photos accordingly. I was ready to simply live my life in a more private manner and remove the label from myself. We all have a different journey and many paths we choose. We must respect each other and what choices are made for each individual life. I chose to be the man I was born to be without having “transgender” be a topic of every day conversation. It had seemingly become my only identity and was consuming. Now, I have no label except for being Tristan. A soul walking this earth growing and learning more with each passing day, while trying to remain a loving light to others around me. I still help people, but it is not limited to the transgender community. The main moderators of TQ Nation over many, many years is Shy and Lloyd. Since 2013, they have been the primary leaders of TQ Nation and I have simply paid the bills, so to speak, with minimal participation. Many of you on here may not even know who I am. I am passing the torch over to them to now be the executive leaders of TQ Nation and I am officially saying farewell. I will always feel a great depth of love for this website and for all of the people who has kept it alive for the past 8 years. Shy and Lloyd are determined to take it to greater places. I know they will. I am thankful for all of those in the community who remain trans activists and do so much to help others and provide a positive voice. Considering the events we keep hearing of lives lost too soon, there is still much work to be done. The journey is never easy and we all can probably attest to some dark times. But, yes, there is light at the end of the tunnel and it’s glorious. An email went out from Shy about donations to TQ Nation. Shy and Lloyd now are responsible for all of TQ Nation, which includes the funding to keep it going for years to come. If you have any issues sending a donation, contact tqnationinfo@gmail.com directly. BOOK RELEASE: I have great news, yet way overdue. 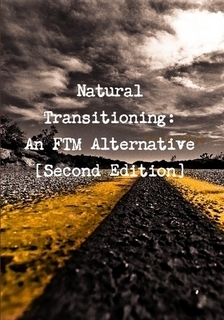 Natural Transitioning: An FTM Alternative finally has a second edition. It took a long time, but it is well worth it. This edition is quite different from the first and takes a truly natural, holistic approach, with guidance from naturopathic doctors (from both the United States and Canada), Chinese medical practitioners and herbalists. Not only is this a guide book that will help you transition without synthetic hormones, it is also a guide book to help you achieve a greater health for your overall being. CLICK HERE to learn more. TRANSGENDER JOURNEY BOOK RELEASE: You may remember my requests from all of you regarding answers to questions about your life and your journey. I’m sure you probably thought that book would never happen. The great news is that it is in the copy editing stage and it will be, I think, one of the best compilations of transgender literature to date. Thank you all for all of the love and support over the years. Remember, you are never alone, your are worthy, you are loved. ABC has kept much of Friday’s two-hour Diane Sawyer interview with Bruce Jenner under wraps, apart from just a few teasing previews. While it’s widely expected that Jenner will talk about his reported gender transition, that has not yet been confirmed. Sawyer said on Friday’s Good Morning America that she’ll let Jenner do the talking. But she did debut a few more seconds of her sit-down. In the below clip, unveiled on GMA, Sawyer asks Jenner if after the several days of conversations they had there was anything she hadn’t asked that he wanted her to ask him. So will he be OK? Sawyer also talked about the role of family in Jenner’s story, revealing that they talked to his older sister, who tells her what she saw when they were growing up. Read MoreBruce Jenner Tells Diane Sawyer, “My Whole Life Has Been Getting Me Ready for This,” in Interview Promo When asked what she hopes people take away from tonight’s special, Sawyer said she hopes it leads to conversations. “I hope people talk with other people, with families, with their friends, because there’s so much to think about, not just about what he’s going to tell you but about everyone’s life,” she said. Sawyer also appeared on Live! With Kelly and Michael to discuss the special. She reiterated that she’ll let Jenner speak for himself and unveiled an even longer clip of him doing just that, including the few seconds shown on GMA. The Live clip also features Jenner talking about what’s to come. “He knows this is a big interview. He knows this is a big day for him, but he is really sentimental about his family and looking forward to what is ahead,” she said. The veteran journalist also admitted she was a bit surprised by the interest in her interview. Watch GMA and Live’s previews below. A scar screams look at me. That’s what it can feel like anyway to the individual bearing such a physical marker of trauma to the body. And on those warm, clothing-optional days of summer, or in the privacy of your bedroom, with a loved one or partner, that stings. Some folks go to extreme lengths to conceal their scars without knowing that a little scar prevention and scar treatment cream for developing and existing scars can reduce a scar or even prevent it completely. This is great news for those of us who have undergone surgery as part of our transitioning process. In this article, you will find out how to care for a wound and to nip a scar before it develops. You’ll also learn how to care for existing scars, and how a scar treatment system, like Dermefface FX7 Scar Reduction Therapy can fade a scar and the damage it does to your self-confidence. The single best thing you can do to prevent a scar is to get it early. Scars form for a variety of reasons, including acne, chicken pox, surgery, an injury or child-birth via caesarian section. Depending on the origins of and severity of the trauma, a scar can take anywhere from several months to two years to develop. Clean a Fresh Scrape or Cut – Run the wound under clean water. Remove pebbles or splinters with alcohol-sterilized tweezers. Carefully wash the wound with soap and a clean cloth. Avoid harsh soaps, hydrogen peroxide, alcohol and iodine for minor wounds, as these can delay the healing process. Cover Up – Cover your scrape or wound to reduce bacteria, dirt and irritants. Keep the wound moist, preferably with an antibiotic cream or ointment. The last point is especially important, as it will reduce the appearance of your scar should it develop. Don’t Pick the Scabs – After an injury, the body immediately starts the healing process, with white blood cells that attack bacteria and red blood cells, platelets and fibrin that form a clot over the wound. Pick at the scabbing that develops and not only do you risk re-opening the wound, you open the door for bacteria that can create a larger, more prominent scar. Despite your best efforts, it’s not impossible that a scar will form regardless of the time and TLC you’ve put into scar prevention. 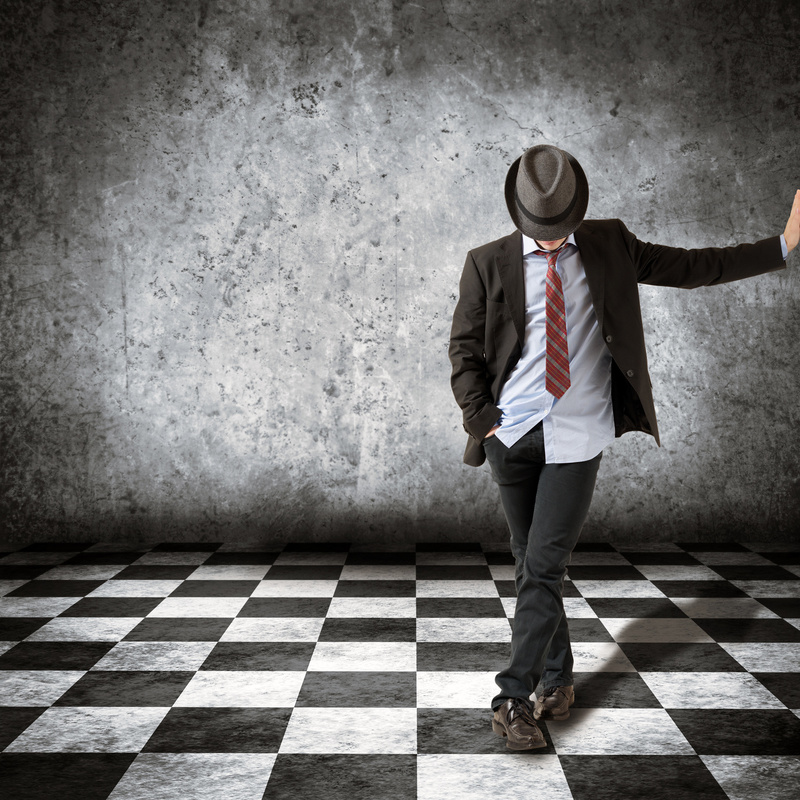 That’s life – some folks are more prone to scarring than others. A deep scar involves all three dermal tissues: the subcutaneous, dermis and epidermis, and can take up to two years to develop. In other words, if the wound is lingering, it’s time to shift to reduction mode. First, be aware that scars tend to develop in areas of the body that are constantly being pulled and strained. The chest and shoulders are common areas for scarring to develop, and in that light, it’s a good idea to avoid heavy lifting or upper-body exercises as your wound continues to heal. Second, consider a scar reduction system as the scar develops. This should reduce the severity of the scar and makes a less painful treatment than laser surgery, which is usually done after the scar is completely formed. Stimulate Natural Collagen Production – Both skin-healing type III and skin-strengthening collagen I. Push Scarred Skin Cells to the Surface – A scar treatment cream gently nudges the skin healing process so that dead and damaged cells rise to the surface of the skin, where they’re sloughed away. Increase Production of Healthy Skin Cells – With more collagen production and exfoliation of dead skin cells, normal, healthy skin cells replace scarred skin, for visible reduction of scarring. Studies show that niacinamide, beta glucans and some antioxidants, including tocopherols, can reduce hyperpigmentation and encourage natural, healthy turn-over of skin cells. Such natural ingredients moisturize, exfoliate, and ultimately, reduce and even prevent scarring. If you want to prevent or reduce scarring without steroids or laser treatment, opt for Dermefface FX7 Scar Reduction Therapy by the Skinception line of skin-care products, which as clinical studies suggest, may reduce scarring in as little as four weeks.